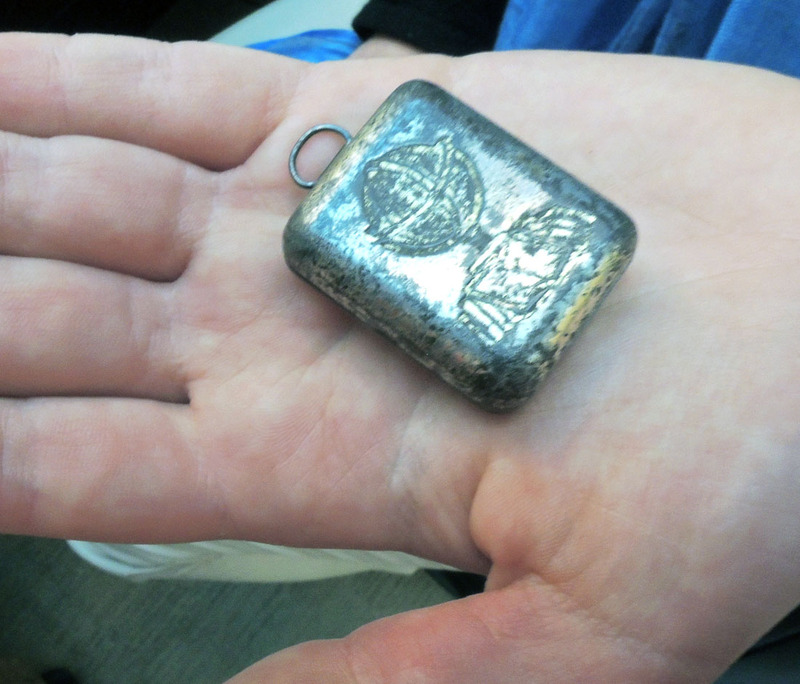 Thanks to the generous gift of Robert J. Milevski, the Graphic Arts Collection now holds “The Smallest English Dictionary in the World” (Glasgow: David Bryce and Sons, ). This is an estimated date of issue, no printed date can be found in the volume. 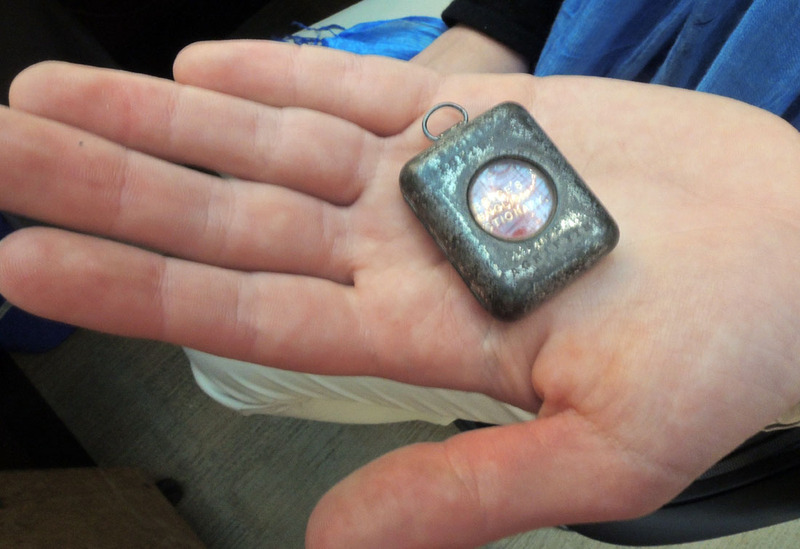 The book is contained in a metal case with glass window; designed to be worn on a chain around your neck. Unfortunately, you would also have to carry a large magnifying glass. 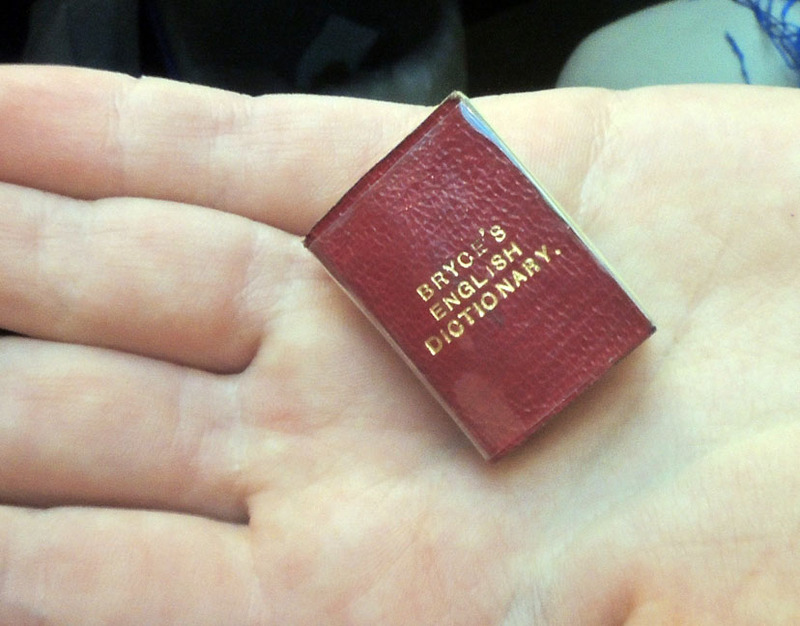 Bryce’s English Dictionary [cover title], The smallest English dictionary in the world: comprising besides the ordinary and newest words in the language short explanations of a large number of scientific, philosophical, literary and technical terms (Glasgow: David Bryce and Sons, 1900). 384 pages; 27 mm. References: Welsh, D.V. 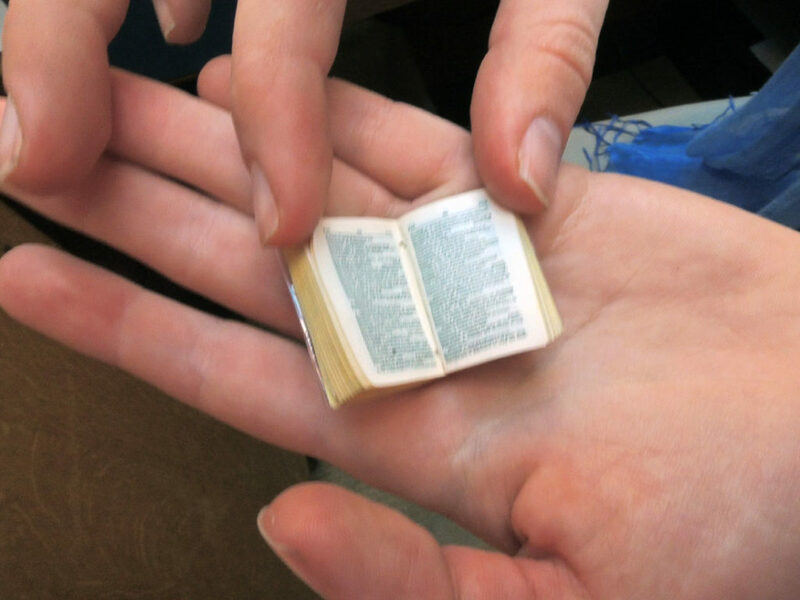 Miniature books; no. 2408; Bondy, L.W. Miniature books; p. 106-107. Gift of Robert J. Milevski. Graphic Arts Collection GAX 2018- in process. This entry was posted in Acquisitions on February 16, 2018 by Julie Mellby.